You can learn something valuable from watching television and it not involve PBS nor the Discovery Channel. In fact, as small business owners and solopreneurs you can learn a lot while watching Fox’s “Empire,” about social media marketing. From the writer’s room to our favorite viewing rooms, the record breaking show provides great examples of how it should be done, but we’re so caught up in the “drip drop” family drama we miss them! So here are five great lessons “Empire” taught us in season one. As a business you must know your audience like you know your family. What are your customers’ personality traits? Where else do they shop, and what do they do for entertainment? Do you know what their other interests that may or may not be tied to your business? From the start “Empire” producers knew it’s audience loved great R&B and Hip Hop music. But they also knew too, fashion was a major interest to its fan base, especially women. The wardrobe of lead character, Cookie, is a mix of vintage throwback pieces and current straight off the run way fashions. Show producers are still showcasing them online via Instagram and Tumblr, and fashionistas are having fun commenting and duplicating Cookie’s wardrobe offline. Show creators knew too the online and offline behaviors of its viewers. While the many young viewers fire up Twitter to express their reactions to the show as it playing, just as many older audiences take to Facebook or fan forums after the show to share their thoughts. 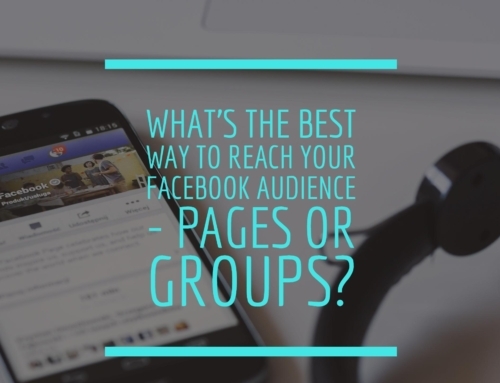 As a business owner do you only engage with your customers in the way you like–the phone, the website, only on Facebook? 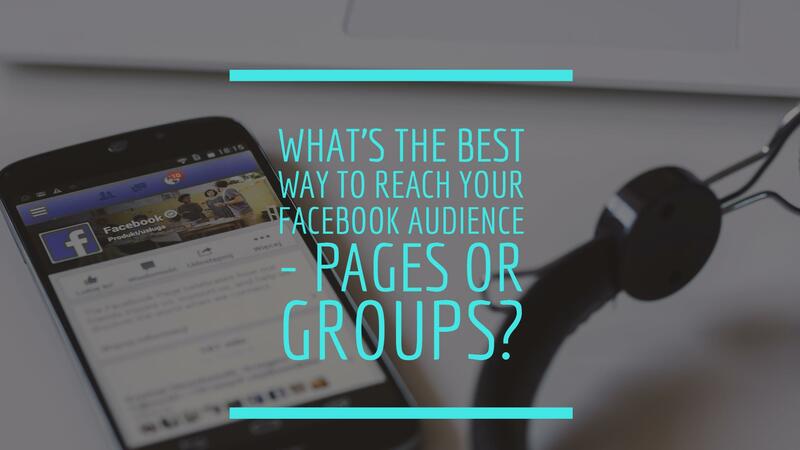 Could you be missing out by not discovering other ways and platforms your customers would like to buy or talk with you? 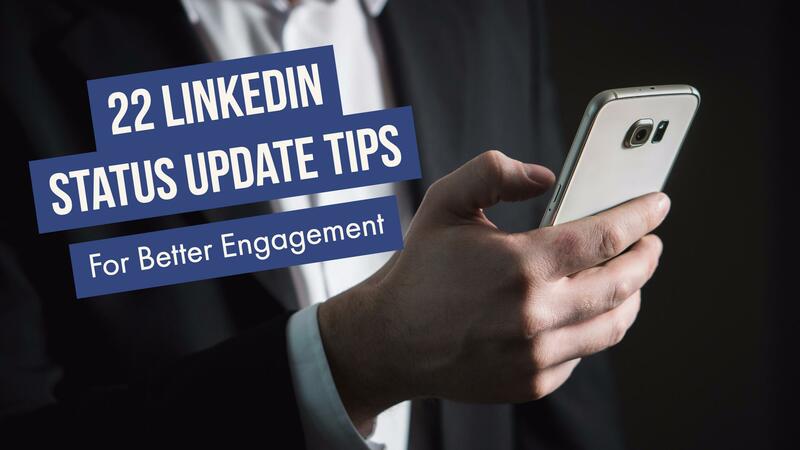 Age ain’t nothing but a number when it comes to interacting with your customers online. 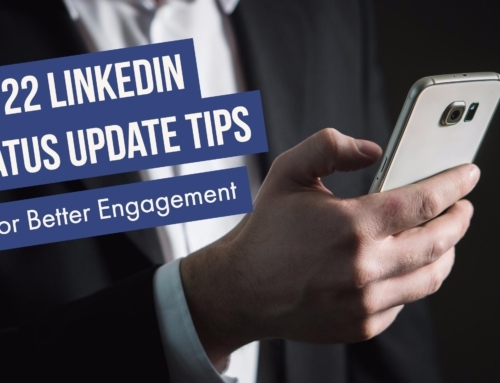 Whether a compliment or a complaint, people now expect a response from a business within minutes or a few hours after contacting through a website or social profile. If you make them wait for days, you may lose a valuable customer. Fox’s “Empire” and other TV show producers knew the importance of cultivating relationships with audiences in real-time. Yes, it was kind of fun but it also let them track audience sentiment and feedback pretty quickly. They didn’t need fancy algorithms and expensive consulting firms to tell them what the audience liked and didn’t. The audience told them literally as the scenes unfolded. So as a small business or solopreneur could you provide more ways for customers to talk to you in real time whether offline or online? Remember, people buy from people they trust so stop hiding online. 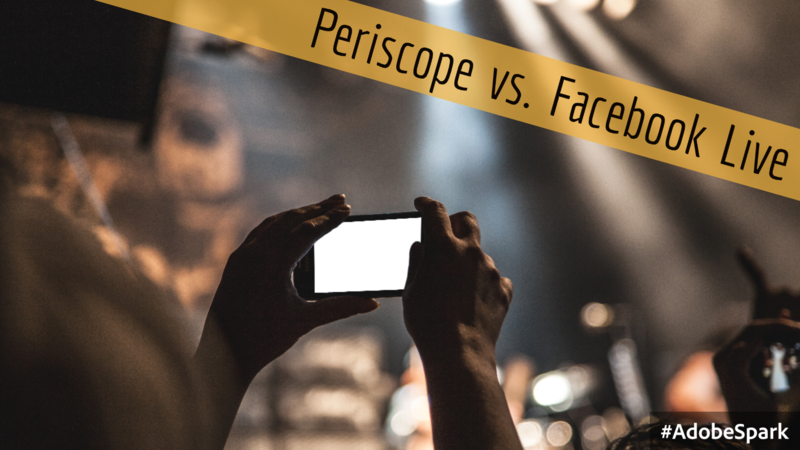 Having a responsive audience online is great, but having an active community online is better. What’s the difference? Loyalty. Audiences come and go, but communities stick around even in the hard times. Also, community members want to play a part in your success by supporting your efforts, your products, or service. They become your ambassadors. While audiences applaud, communities root for you and when the trolls and haters bring the negativity, the loyal community shuts it down with a quickness. They are so into you, online communities often take on some version of your name and proudly share it online and off. That’s free advertising and promotion you didn’t even ask for! Empire’s #CookieMonsters, so named by Cookie actress, Taraji P. Henson, root not only for the character but also for the women portraying her. They–ok we–live for the scenes she’s in because we want to see her win! You can’t keep a good woman down! 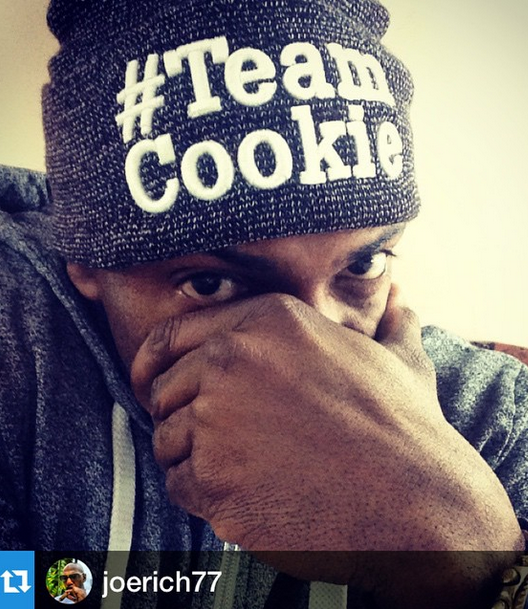 I’m #TeamCookie too! But as a business this kind of loyalty doesn’t come quick nor easy. Henson has been building her community of fans for years. She understands you must give a little to get fans to support a lot. She rewards her fans by merely acknowledging them. Beyond providing a quality product or service, do you reward your local customers? Do you acknowledgement them or keep it to business as usual? You want your customers to talk about you online and off? Help them do so by providing branded content that’s easy to share. Why is it worth sharing? Because it’s useful, entertaining, and when shared makes them look like the smart or funny one amid their friends. For your business that could be tips sheets, how-to videos, guides, or just motivational quotes and images. For a show like “Empire”, it’s lots of great original content including photos of the cast on the set, animated gifs, music videos, and of course fabulous original music made available on Itunes. 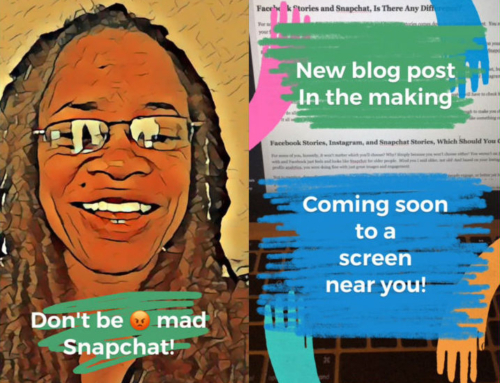 How are you providing shareable content for your customers or potential ones that’s of value to them and not just another attempt to sale? 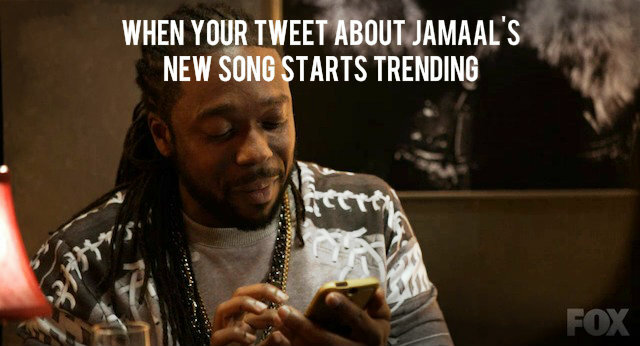 In Episode 6, titled “Out, Damn Spot”, Cookie asked a famous football player with millions of followers to tweet about Jamaal’s new single. At first he said no, but when Cookie told him he’d be the first to introduce the hit song to the world and thus begin a trend on the platform, he changed his mind. Who doesn’t like having bragging rights? 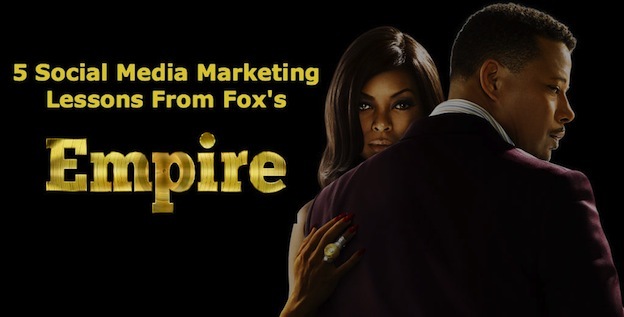 This is my favorite social media lesson from Fox’s “Empire”. 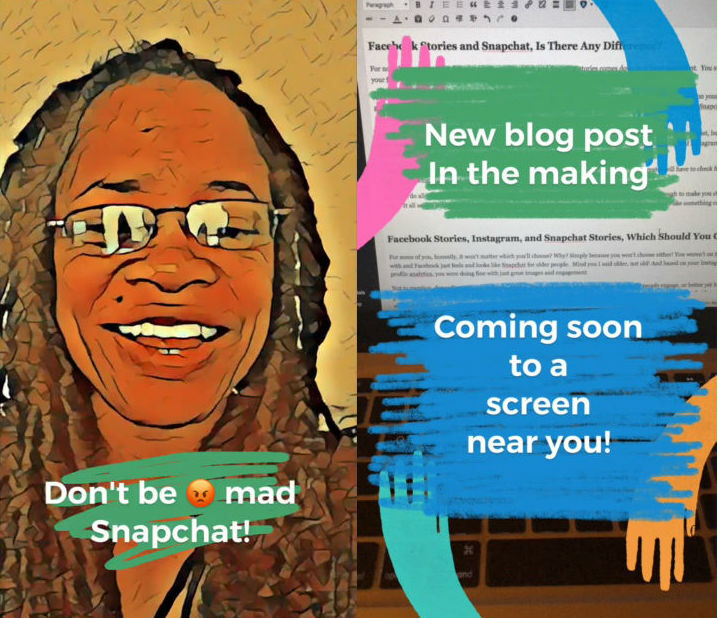 When approaching online influencers as a business owner have something of equal value to offer them for access to their active tribe or community. It could be product, a service, or even money. Yeesss, many online influencers are now paid to post or talk positively about products or services to their audience and have no qualms asking for it. It’s a business people! So start thinking before you start asking. Just what do you have to offer someone that has what you want or need? Be prepared to negotiate. As in the case of the pro football player, feed their ego or give them something that makes them look even better to their community. Importantly too, develop an online relationship with these individuals before you ask them to help you. Cookie confidently introduced herself to the athlete as the Co-Founder of Empire aka someone of equal importance. As an up-and-comer, take her example and seek out first people on your level to better your odds of developing a mutually beneficial relationship. It’s time to roll the credits! 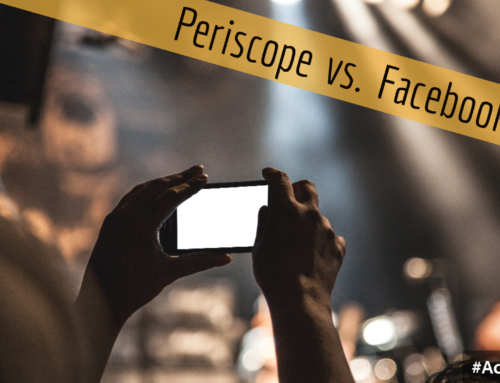 So whether a #CookieMonster or just an occasional viewer of the show, as a business owner, take a moment and study just how art can imitate life when it comes to social media marketing. Yes, tv shows have lots of money and resources, but that doesn’t mean you can’t implement these tactics on your level with whatever resources your have available. Share with me in the comments below how you think lessons 1-5 could benefit your business. I’d really like to read how you’re implementing social media marketing to grow your customer base online and off. What should you expect from #CookiesCloset during the #EmpireFinale? Animal print, fur, and LEATHER!